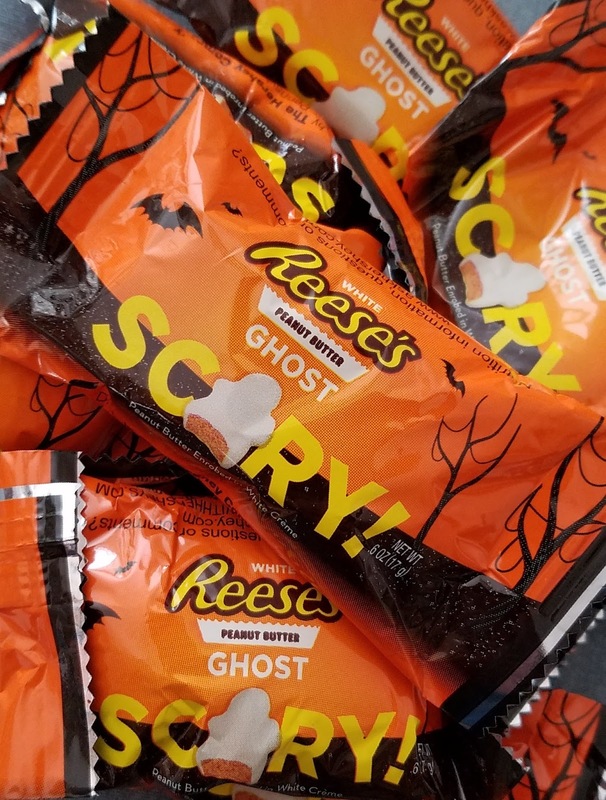 As someone who enjoys white chocolate but almost always opts instead for dark or milk chocolate, Reese's White Ghosts did not hold all that much appeal. But I was wrong! These are delicious! Somehow the white chocolate and peanut butter blend so beautifully. 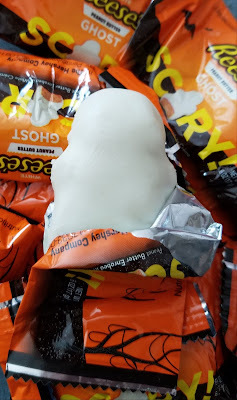 I thought they would be too sweet but they are not. 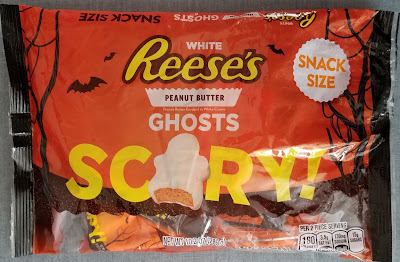 I checked in with taste-tester Ben, who also feels strong emotions about the entire Reese's line, and he agreed that these white chocolate covered peanut butter ghosts are a surprise delight. One complaint: don't these ghost shapes seem awfully similar to the Christmas tree shape released by Reese's each Christmas?